Don’t let yourself be put off by the cold weather though as Budapest is far less packed this time of year, the prices are even more favourable than in the high season and there are some special winter activities that can’t be done at any other time. Obviously wearing plenty of warm layers is strongly recommended if you visit in winter but if you start to get too chilly you can always pop into any of the numerous cafés or bars dotted around the city center where you can warm up your frozen fingers. Or, if you prefer, there are more than 200 museums with a wide range of topics awaiting you which will also provide a warm hideaway from the cold. During the winter months temperatures can easily fall below 0 degrees Celsius (32 Fahrenheit), even during the day, but it rarely dips below minus 10 degrees Celsius (14 Fahrenheit). In the last decade the amount of snowfall has been decreasing so unfortunately there is a smaller chance to be able to admire charming Budapest in its typical romantic winter scene with a crisp layer of snow. In you visit Budapest any time between mid-November and the beginning of January, you can be part of some lively outdoor scenes thanks to the Christmas markets in the city center. With the festive illuminations and the decorated shop windows the city really comes into its own around Christmas. Enjoy the holiday mood and keep yourself warm while lingering among the wooden market stands. The three most famous markets are located in the city center quite close to each other. A remarkable winter activity is certainly gliding on the popular outdoor ice rink in the City Park (Városliget) just next to the impressive Heroes Square. The open air artificial ice rink is more than 140 years old and is overlooked by the spectacular Castle of Vajdahunyad, which provides a scenic background for the skaters. You can rent skates in the neo baroque building next to the rink for a fee and a deposit, but be aware that the rink closes in the early afternoon. After the active ice skating in chilly weather who wouldn’t want to submerge themselves into hot thermal water and enjoy a more passive indulgence? In this case the most feasible option is Széchenyi Bath as it is a short 5 minute walk away from the ice rink. It’s pretty amazing to sit in one of the outside pools when the temperature is low and the hot thermal water is steaming around you. Somehow it has a magical mystical charm and if you are lucky snowfall gives added value to the extraordinary experience. Gellért and Rudas baths are also good options to get acquainted with local bathing culture. Don’t forget your bathrobe, or to rent one, if you are one who feels the cold, as in some baths you have to walk a few meters in your swimsuit in the open air before you can plunge into some of the hot pools. Plastic sandles or flip flops are also recommended in winter time. In Rudas a bathrobe or a bigger towel may come handy even more so as you have to take a few steps outside to reach the rooftop pool that offers an amazing view. It would be a pity if you missed out on that pool because of the chilly weather. The thermal baths are open 365 days a year. Here you can read more about my three favourite ones. In the Hungarian State Opera (Andrássy út 22) it is traditionally the Nutcracker ballet with the wonderful music of Tchaikovsky that is on almost every evening in December as well as some matinees. Book your tickets well in advance as there is a high demand for these performances. On the first day of the year there is a New Year Concert held in the Opera House. It is best to book your tickets well ahead for this too. For musical and operetta lovers I suggest checking the program for the Operetta Theater (Budapesti Operettszínház – Nagymező utca 19) for seasonal performances. For those who prefer classical music, you should take a look at the program for the Franz Liszt Music Academy (Liszt Ferenc tér 8). This institution pleases not just the ears but also the eyes. The beautifully designed and lavishly decorated Art Nouveau building is dedicated to music. About Art Nouveau architecture in Budapest more info here. Organ concerts in the always gloomy Saint Stephen’s Basilica (Szent István tér 1.) are held four times a week all year round. You can reserve your tickets in advance or buy it at the cashier before the concert. The Basilica is one of the most significant churches in the country and is exceptionally rich artistically. Reliefs, statues, paintings and mosaics decorate the third highest building of Hungary. Christmas Markets held annually in the city center open in mid-November and end either on Christmas day or on the 6th January. This is the most well-known Christmas market and has been chosen as one of the 10 most attractive Christmas fairs in Europe. No wonder, the location can’t be more central, the decoration is very festive, there are two stages which host various events to entertain all ages, the merchants sell delectable products and the food stalls will enchant you with the seasonal scents and tastes. On the stages there are varied performances, like concerts (folk, world music, jazz, blues, soul, etc. ), held every day; at the weekend, from late morning till early night, and evenings only during the week. Each year there is also a heated area for children interested in arts and crafts. These free activities are usually held on weekdays in the afternoons and during the weekends in the mornings (10 am – 1 pm) and also in the afternoons (4 pm-7 pm). Every Sunday afternoon the candles of the huge Advent wreath are lit, a very festive way countdown to Christmas. Visiting the market is also a great opportunity to purchase some festive presents for your beloved ones like jewellery, ceramics, books, CDs, DVDs, musical instruments, wooden and other toys, puppets, horn goods, calendars, graphics, clothes, hats, caps, bags, leather products, knives, glass products, decorations, etc. As well as being a good source for seasonal and artisanal food products, like gingerbread, honey, artisan chocolate, artisan cheese, tea and fruit wines. If you’re feeling hungry, there are many food caterers offering delicious Hungarian and international Christmas dishes and other seasonal delicacies. You can taste the indispensable stuffed cabbage that’s one of the most common Christmas dishes in Hungary. Mangalica pork sausages, homemade filled Hungarian flat bread baked on an iron griddle and cabbage in a rye loaf are some other classic dishes that can be tasted here. Alternatively, you can grab a lángos (fried dough) most commonly topped with sour cream and grated cheese, but there are many other versions for the topping. Another festive snack not to be missed are roast chestnuts. For the sweet-toothed I suggest kürtőskalács (chimney cake) baked and caramelized above charcoal fire. The glazed surface is crunchy and the dough underneath is fresh, soft and warm. Although it can be bought all year round, the seasonal flavourings, like ginger or poppyseed-raisin, will bring you into a festive mood. For a winter warmer try a strawberry wine, cherry grog or the traditional mulled wine. The Christmas fair on Vörösmarty tér isn’t just about enjoying food and drink and buying gifts but also provides an opportunity to make donations to those in need. Look for the charity booth if you are interested in donating. For further information a tourist information point is set up with printed materials and the staff speak foreign languages. Vörösmarty tér is a 5 minute walk if you head north from our apartments on Váci utca. From the Castle district on Buda side take bus 16 and get off at the terminal (Deák tér). From Heroes Square and Széchenyi Bath take metro no. 1 until the terminal (Vörösmarty tér). If you are on the Pest side next to the river Danube, take tram no. 2 and get off at Vigadó tér stop. This Christmas market is held in front of the St Stephen’s Basilica (Szent István tér). The facade of the Basilica gives an amazing backdrop for the market and set up in the middle of the square there is usually an ice skating rink for children. Almost every evening there is an Advent or Christmas concert held in the church that helps to put you in the festive mood. Szent István tér is a 10 minute walk from our apartments heading north. From the Castle district on Buda side take bus 16, get off at the terminal (Deák tér) and cross Erzsébet tér. From Heroes Square and Széchenyi Bath take metro no. 1 until Deák tér stop and then cross Erzsébet tér. 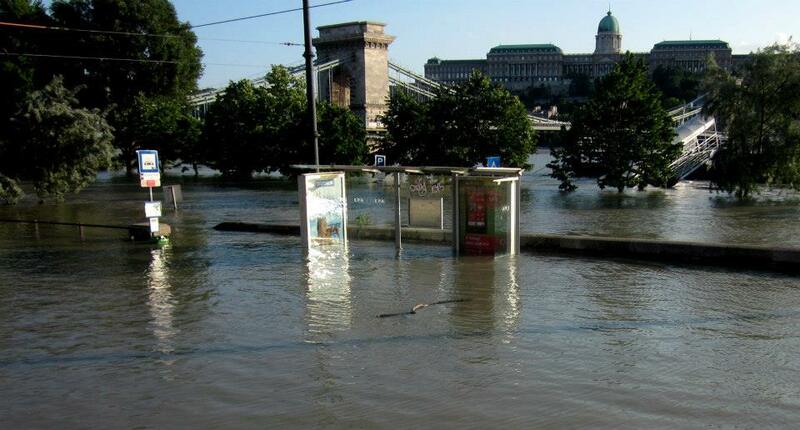 If you are on Pest side next to the river Danube, take tram no. 2 and get off at Széchenyi István tér stop. Walk along Zrínyi utca and the Christmas market will be at the end of the street. There is a third Christmas market held in Bálna, a cultural and commercial center on Pest side next to the Danube shore between Petőfi and Szabadság bridges. (Address: Fővám tér 11-12. ) This is the smallest one. Bálna offers cultural programs, concerts, art galleries and a marketplace all year round. In wintertime, each Sunday, a market called Antik Placc is held in the building where antiquarians and designers sell their products. It’s an indoor event accompanied by concerts and different activities for children and adults. Gingerbread City is a contemporary Christmas statue. Anyone who is willing to participate in this social art can reserve a plot, and exhibit his / her own home made gingerbread building to the public by placing it on its plot at the city building reception. The illuminated Gingerbread City is open usually from mid-December till the end of January and the entrance is free. There is also an ice skating rink set up on the terrace of Bálna which has a great view of the river Danube, the bridges and Gellért Hill. Bálna is a 10 minute walk from our apartments heading south. 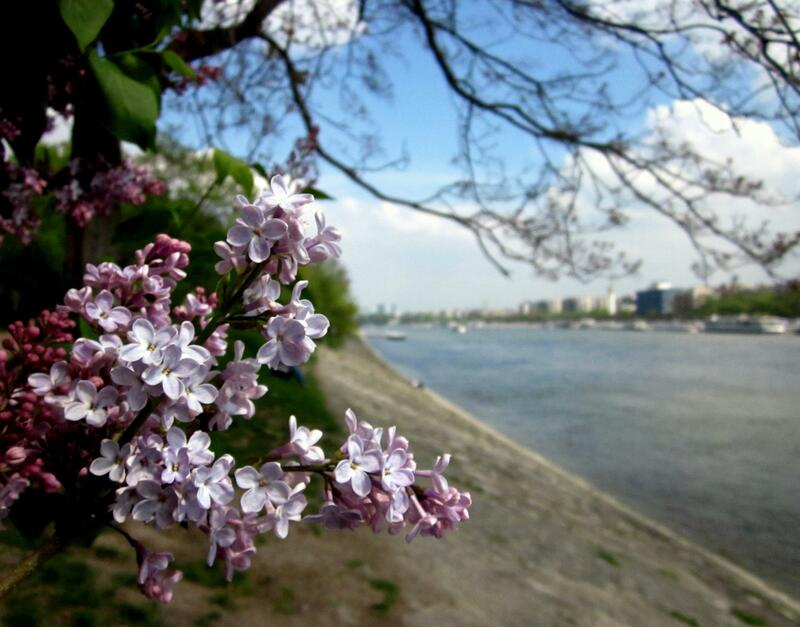 Walk downstream along the river Danube and you will arrive at Bálna just after the green Szabadság-híd (Liberty Bridge). You can also take tram no. 2 that runs along the river on Pest side. Get on at Március 15. tér and get off at Zsil utca (2 stops). It’s easy to spot the tram at this time of year as it is lit with Christmas lights and takes passengers between its two terminals Jászai Mari tér and Közvágóhíd. From Heroes Square and Széchenyi Bath take metro no. 1 until Deák tér stop. There change to metro no. 3 and get off at Kálvin tér stop. Walk for about 5 minutes towards the green Szabadság-híd (Liberty Bridge) and then turn left and after a short walk Bálna will be in front of you. If you are on Pest side next to the river Danube, take tram no. 2 and get off at Zsil utca stop. These posts may also interest you:Which Bath to Choose in Budapest? Budapest has a continental climate with distinguished seasons. 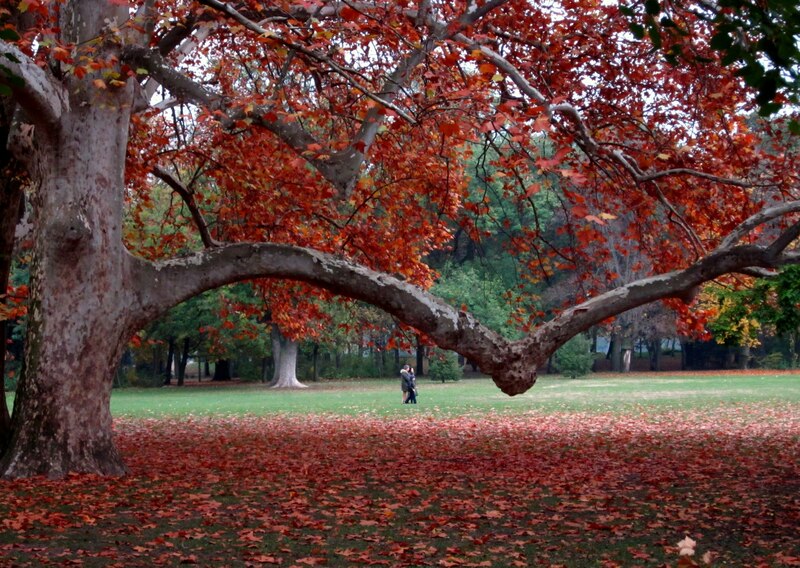 All the seasons have their own beauty so anytime throughout the year is a good time to visit. 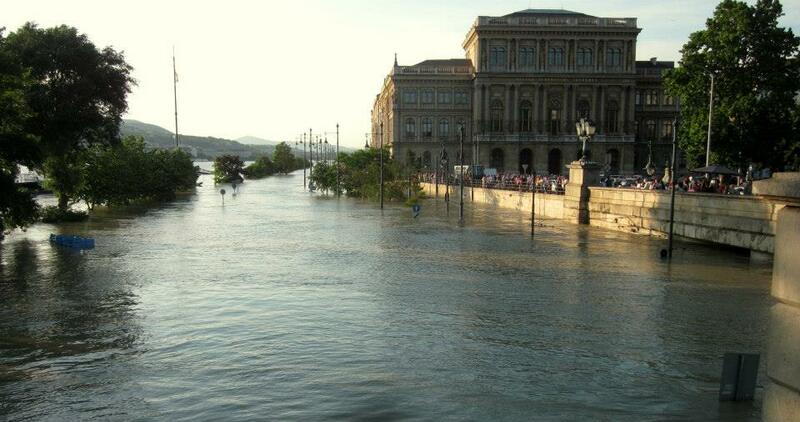 Extremities are not common but can occur for example in August 2002 there was a huge flood on the river Danube endangering Budapest. However, the flood soon became a tourist attraction for a while. Drought can also be an issue like it was in September 2015. 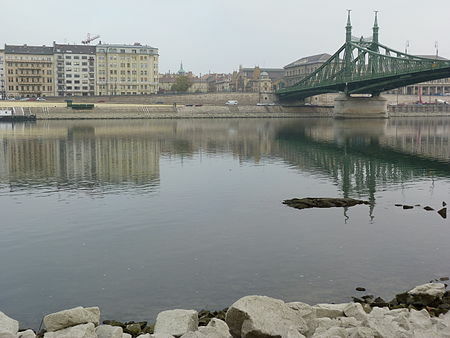 In fact, there is a famous rock in the Danube at Gellért hill which usually can’t be seen. When there is a period of drought the level of water decreases and the rock becomes visible and will be above the water level. When this happens it is said to bring famine on Budapest. Throughout the year the two wet and two dry periods alternate. The two wettest periods being early summer and late autumn and the two driest periods being the middle of winter to spring and early autumn. We can expect the least rainfall in February and March and the most rainfall in May and June. Probably the best time to visit Budapest as the weather is mild and appropriate for long walks. Margaret Island, City Park, Gellért Hill and all parks are glorious at this time of year. 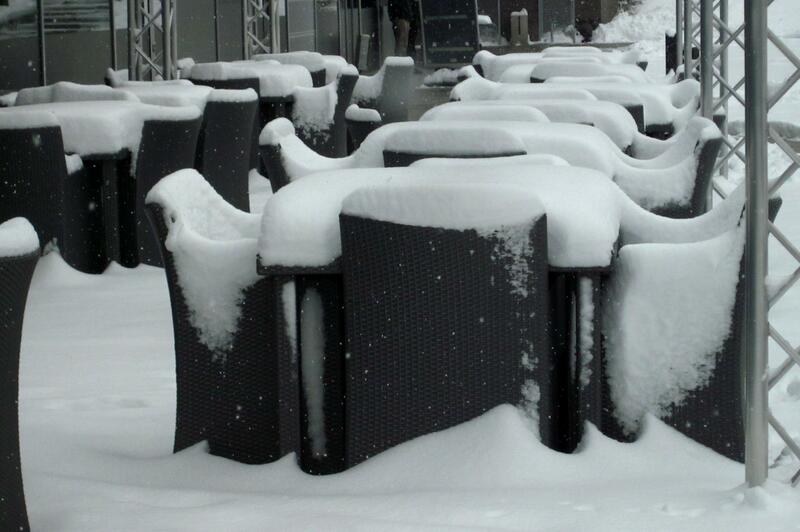 The terraces of the cafés, restaurants and bars are alive with locals, as the crowd of tourists have not arrived yet. There are many festivals going on in the city, like the Pálinka (traditional Hungarian spirit) Festival, Budapest Dance festival and the long-standing Budapest Spring Festival. In March and April you may still need a few layers of clothes as it can still be a little chilly. May is much warmer, most of the time a T-shirt and shorts are enough during the daytime. June is usually pleasant but July and August are very hot. Each year there is a short period of about a week when the temperature may rise to 35 degree Celsius (95 degree Fahrenheit) or sometimes even more. In the summer months short and heavy rain falls occur which can refresh and cool the air temporarily. At this time of the year an apartment with air conditioning may feel like a salvation. Budapest is full with tourists in the summer and in the city centre you can seldom hear Hungarian. I would recommend bringing comfortable sandals with you rather than flip-flops to keep your feet cool as the best way to discover Budapest is on foot. Flip flops are not very suitable for this and may cause blisters. September usually brings an Indian summer, with warm sunny days and moderate temperatures, which favour tourists. The temperature may reach 20 degree Celsius (68 degree Fahrenheit) during this time but come October and November the weather soon starts to get colder and rainier. The end of November may bring snow but it usually melts quickly. A pullover or even a warmer coat is needed and waterproof shoes may come in handy. Some annual festivals are held at this time of the year, like the Budapest International Wine Festival and the Café Budapest Contemporary Arts Festival. Also, outdoor Christmas markets open at the end of November. Winter days are short and cold. All Hungarians wear warm hats, gloves and scarves. In the last few decades snow has not been too frequent so you need some good luck to be able to stroll in a romantic snow fall. In December, the outdoor Christmas markets are a must visit where you can tune yourself into the festivities. The smell of mulled wine and the festive delicacies will surely seduce you. Don’t forget to bring your winter boots and winter coat. If you have any questions, please contact us. All feedback is welcome.